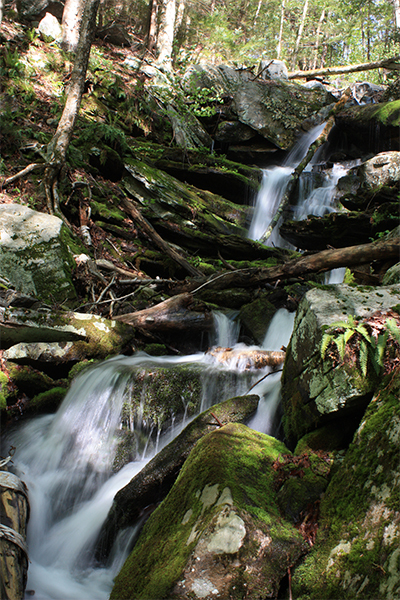 Several waterfalls are found along the 114-mile Metacomet-Monadnock trail in central Massachusetts. 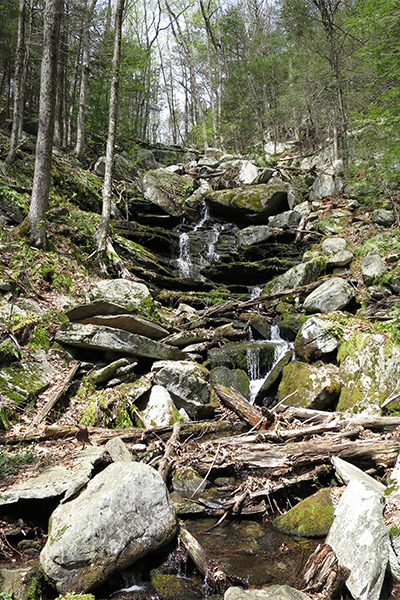 Briggs Brook Falls is just one example. This seasonal set of cascades is best suited as a break on the trail (as opposed to a separate excursion). 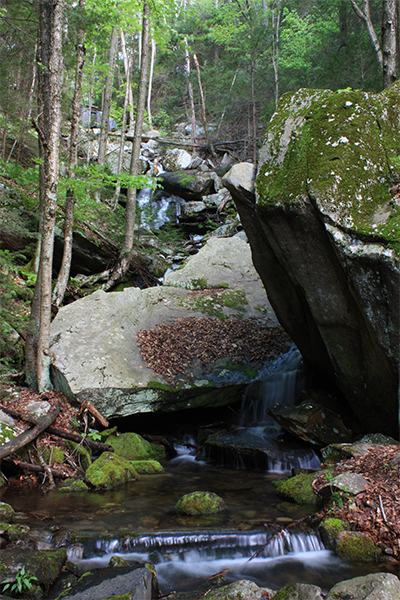 The falls do offer some off-trail exploration opportunities. Since these falls are found only minutes from a major state highway, and can be impressive in early spring, you may find a quick stop here worthwhile. However, this is one to skip after any period of drought as the falls are almost certainly going to be dry. From the parking area, walk downhill (east) along Briggs St for 100 feet and enter the woods on your left. 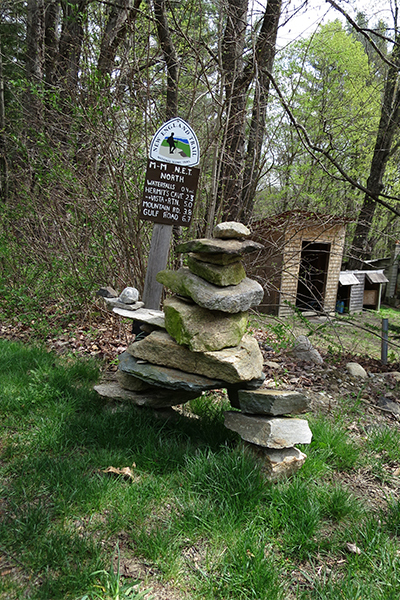 Follow the white-blazed Metacomet-Monadnock Trail (the "M&M Trail") for 0.3 mile to the falls, which will be visible upstream on your left when you reach a footbridge. You can easily scramble up to closer views of the falls but crossing the footbridge and heading upstream with the brook on your left. If you are traveling west from Orange, follow MA 2 west for 4.1 miles beyond the "Entering Erving" town line sign and take a right onto Holmes St (marked as Holmes Ave on some maps). This turnoff is one of only a few right turns in the town. After about 100 feet on Holmes St, take another right onto Briggs St. 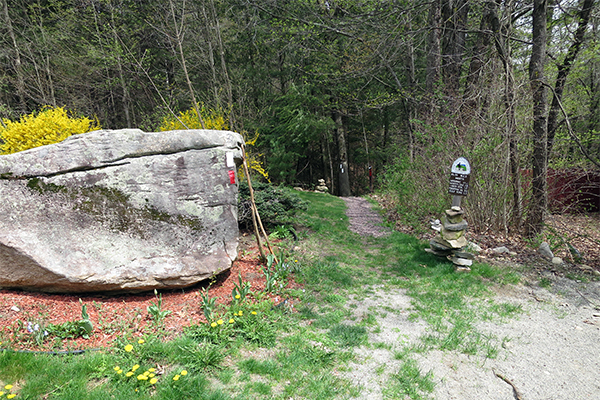 The parking area is up ahead on the right and is currently marked by two signs: one for "Farley Ledge" and another stating that there is an "8 Car Limit". If you are traveling east from Greenfield, follow MA 2 east for 3.5 miles beyond the overpass junction of MA 63 and MA 2 and turn left onto Holmes St (marked as Holmes Ave on some maps). Drive 250 feet on Holmes St and take your first left onto Wells St. Drive straight for 0.1 mile, as Wells St converts into Cross St, and then take your second right to continue on Cross St. Immediately after taking this right turn, you will find a small parking area on the left. The parking area is currently marked by two signs: one for "Farley Ledge" and another stating that there is an "8 Car Limit". To get to Orange, take MA 2 west from Leominster or MA 2 east from Greenfield.